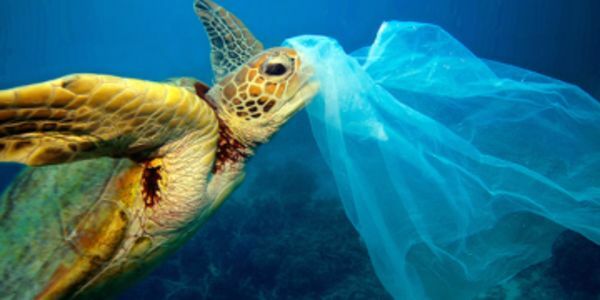 petition: Ban the use of plastic bags in Delaware! Ban the use of plastic bags in Delaware! Moving from California, a state where plastic bags are banned and virtually shunned, to Delaware, where the use of plastic bags are still in existence has got me concerned. Parts of the United States are still ignoring the basic facts that plastic bags are 1) unnecessary and 2) destroying the environment. Every time I go into a grocery store I have to ASK for a paper bag if I forgot my reusable bags. The employees at grocery stores also start throwing every item I have in plastic bags without asking me, often using way too many bags for the amount of items I have. I've had to speak up loudly and often repeat myself that I do not need a plastic bag. I've even taken my stuff out and given the bag back if I wasn't listened to. I see plastic bags strewn over the side of the freeways and streets, in our parks, overflowing in trash cans and piled up in peoples homes. I want the use of plastic bags to be BANNED, as it will force people to use reusable bags or at the very least, recyclable paper bags. I think that with the help of the community here who wants change for our earth, we can come together and shake things up. Major grocery stores like Acme, Giant, Safeway, etc should all be using paper bags with the amount of traffic they get everyday. It is an absolute injustice to our world and to the future generations that these big corporations are turning a blind eye to this massive issue. Just think about the amount of plastic that walks out of those doors everyday -- and then goes no where but to sit on our earth much longer than any of us will. Unfortunately, we can't take back the damage we have done, but we can start now. It's never too late. We can save the turtles and the innocent wildlife, the oceans and the parks. Give the future humans a beautiful experience on earth also.